While conventional formulas that contain chemicals and synthetic ingredients strip the skin of its natural balance, organic skincare ingredients nourish your skin with plant-based formulas that are rich in nutrients, vitamins, and antioxidants. And luxury organic skin care brands take that even further with only the highest quality, exotic, rare, and extremely powerful ingredients. They might cost a bit more upfront, but what they’ll do for your skin is worth the initial investment. Not only do the best luxury organic skin care brands replace toxic, skin-irritating ingredients like parabens, chemicals, and even pesticides, with natural botanicals, they also incorporate the latest and safest science in creating their unique and potent blends. For the best in luxury skin care brands, look no further then our in depth list. We’ll tell you a little about the top 15 luxury natural skin care brands and what their best products are. Read this before indulging. The entire Eminence collection is handmade with hand-picked, fresh, organic ingredients. In many of the products, plant-based, botanical ingredients are combined with mineral-rich water derived from a thermal hot spring lake. They’re then processed without any heating or hydrogenating to maintain their purity and potency. Beyond their vitamin-rich formulas, Eminence is certified by B Lab – a non-profit laboratory that upholds strict standards of social and environmental accountability and transparency. Established in 1958, they’ve been using sustainable, green practices to produce skincare products free of chemicals and synthetics for more than 50 years. A cleanser that removes dirt and other residue while balancing problematic skin. 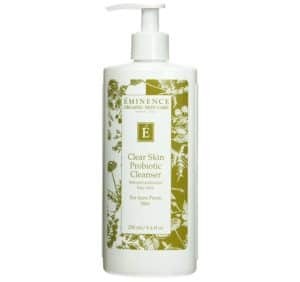 Filled with probiotics like yogurt, antibacterial items such as tea tree oil, and natural exfoliating astringents like willow bark extract that keep breakouts away, you only need a pea-sized amount of this potent cleanser to restore blemished skin and protect it from future imbalances. Exclusively available in the age correction collection, this restoring serum contains hyper-hydrating organic ingredients like coconut water, coconut oil, and the rare and exotic neroli oil. But defying the signs of aging takes more than just hydration. That’s why this serum is formulated with a natural retinol alternative complex that plumps fine lines and wrinkles, reduces enlarged pores and dark spots, and protects your skin from environmental aggressors that contribute to aged skin. This luxury organic skin care brand understands that the skin has the ability to heal itself. But, in order to do so, it requires inputs from the original source of nutrients and oils necessary for regeneration. The plants, herbs, nuts, fruits, seeds, leaves, stems, and flowers that we find in nature contain phytonutrients that share a molecular and structural likeness to what our body produces naturally. 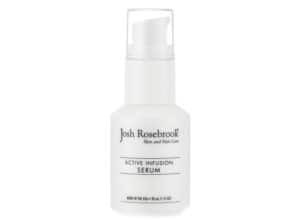 To facilitate the best healing and restore vitality and health, Josh Rosebrook harnesses only the power of these plant-derived ingredients. A consistent recipient of “zero-toxicity” results that designate the brand as an unwavering advocate for pure and organic skin care products, they make everything in small, hand-crafted batches. They infuse every item they create with bio-matching ingredients that mimic the natural vibrational alignment of our body, and they do so with the safest, highest quality ingredients. This brand is constantly innovating. 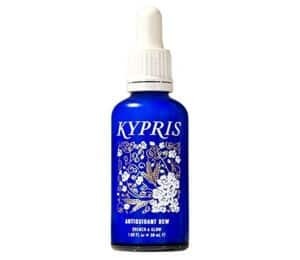 Their Active Infusion Serum used to be the Deep Hydrating Serum but they’ve discovered a more powerful blend of hydrating oils and skin-regenerating herbs to improve an already amazing product. Now with a blend with of marula and avocado oil that are rich in fatty acids for calming and moisturizing, it also contains unique items such as sage, turmeric, cats claw, and St. John’s wort. A luxurious 3-in-1 that works as a moisturizer, sunscreen, and light makeup or primer. And it does all that while delivering plant oils and herbal synergies that help repair damaged skin, control inflammation, protect with antioxidants, and replenish with fatty acids and other vital nutrients. Suitable for all skin types but especially helpful for oily, combination, or breakout-prone skin, this wildcrafted, certified organic day cream is the perfect start to your daily skincare routine. People with sensitive skin often struggle with skincare. 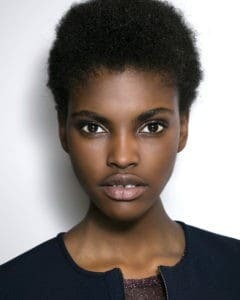 Their skin requires perfectly balanced blends that are formulated with sensitivities in mind, otherwise they experience inflammation, dryness, flaking, breakouts, and even damage. Pai Skincare was created to serve exactly those specialty needs – every single one of their products is designed with sensitive and allergy-prone skin in mind and every one of their ingredients has been carefully hand selected for soothing and healing properties. Free of the detergents and alcohols that normally irritate sensitive skin, this lightweight but penetrating cleanser moisturizes as it removes dirt as well as residue and even makeup. The star ingredient of this gentle yet full bodies cleanser is the highest quality Japanese green tea oil. Traditionally used as a skin conditioner in Japan, the rare oil is rich in omega 3 as well as vitamins A, B, C, and E.
A much-loved day-cream by celebrities and media alike, this light and silky moisturizer is the go-to treatment for inflammation. It contains organic German Chamomile CO2 extact, a highly regarded form of this extract known for its antioxidant properties and ability to soothe the appearance of reactive redness and irritated skin. 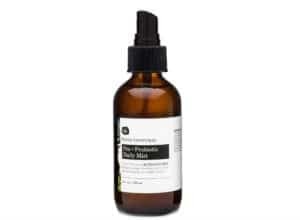 Organic rosehip CO2 extract works alongside that active ingredient to heal the skin once inflammation has been calmed. International makeup artist Munemi Imai founded this luxury skin care brand after discovering a deep passion for living sustainably. Wanting to bring that passion to the world of fashion, Imai founded Mun – a collection of organic skincare products that not only use clean, plant-derived, skin-beneficial ingredients, they also work directly with women-owned, responsibly managed, sustainable and local co-operatives. After your skin has been cleansed, it’s essential to restore the pH balance with a powerful hydrator and skin-firming agent like hyaluronic acid. While willow bark extract aids your skins ability to regenerate skin cells, Bulgarian Rosewater refreshes sensitive and normal skin alike. And to protect your skin after it’s been revitalized with those ingredients, goji berry extract has been added for its antioxidant benefits. When you need to cleanse your skin of even the most stubborn waterproof makeup, this deep cleanser penetrates the outermost layers to unclog and purify pores. An oil-based cleanser that’s formulated with all the right oils: nutrient-rich argan, detoxifying castor, and protective camellia seed. 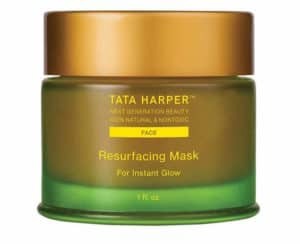 Tata Harper began creating this high-performance, high-quality, world-class line after a loved one was diagnosed with skin cancer and she recognized the need for a comprehensive organic skin care collection that was both meticulously formulated and served the most luxurious of needs. The result was this 100% pure skin care line that uses over 300 raw ingredients and 43 high performance active ingredients, hand-selected and sourced from over 68 countries worldwide and backed by clinical results. 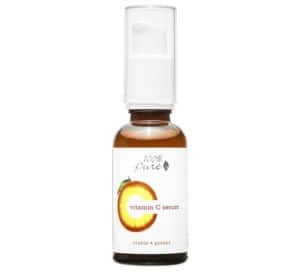 Shipped directly from their organic farm in Vermont, this instant-glow revitalizes dull skin that lacks luster and youthful vibrancy in only 15 to 30 minutes. Formulated with willow bark extract to purify and remove debris from the surface of your skin, this mask targets skin tone as well as texture and enlarged pores. Made gentle enough for even the most sensitive skin, this balancing cleanser restores pH while it cleanses with grapefruit, aloe, and rose clay. Clearing and purifying pores both morning and night is easy when it’s this nourishing and refreshing. The secret? Three variations of olive extractions that bring fatty acids and other rich phytonutrients to the surface of the skin. The nutritional properties of the chia seed go well beyond what they can do for your diet. When their oil is extracted using the patented Maya Chia supercritical extraction process that’s free of oxygen and solvents, they make for a super effective skin care ingredient. Chia has all the skin care benefits you could every ask for: it’s anti-inflammatory, antioxidizing, calming hydrating, redness-reducing, and age-defying. 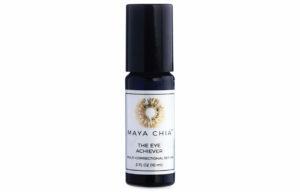 And Maya Chia has designed the most valuable chia formulas the luxury organic skin care world has seen. Plus, they donate a portion of all their profits to organizations that support education in various Mayan communities – so you know your money is going to good ingredients and a even better cause. If you struggle with dark under-eye circles or a loss of contour around the delicate eye area, this serum restores firmness and resiliency. Five macro and micro-algae extracts including sea fennel, sea lavender, and wakame provide antioxidant protection while nutrient dense oils extracted from plants like chia, raspberry, and black cumin penetrate to the deepest layers of your skin to moisture and restore brightness to tired eyes. Available in four true-to-tone shades, your skin will thank you for this moisturizing makeup that adds a dewy, sun-kissed glow to your face and neck. Each with an ultra- lightweight, pearlized mineral sheen finish, they’re created with organic and wildcrafted ingredients like broccoli, calendula flower extract, rosemary, and of course the star ingredient – chia. The light citrus scent is accomplished with high grade essential oils. 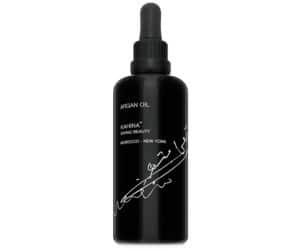 The owner of Kahina Giving Beauty personally sources the core ingredient of every product in their collection: the finest quality argan oil. Hand selected in Morocco where the brand draws inspiration from ancient traditions and practices, argan is combined with organic and natural ingredients sustainably sourced from around the world as well as modern scientific breakthroughs in skin care. The result is an effective and ethical line of luxury organic skin care that embraces and empowers the female artisans that help them create their fair trade product. This quality of argan oil is easily absorbed by thirsty skin so it can be used as a daily body oil, after cleansing to replenish lost moisture and rebalance your skin’s surface, and even as a hair oil to restore dry and damaged hair. An all-over solution with high concentrations of vitamin E, this argan oil provides deep hydration to help minimize the visible signs of aging and protects from environmental damage. A hydrating and restoring cream so powerful you only need to use it after cleansing in the evening. 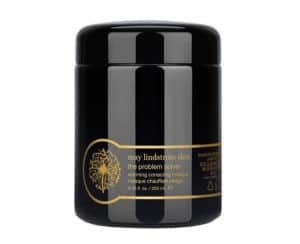 This night cream targets aged skin with collagen-building resveratrol derived from red grapes which improve skin texture and tone and reverse elasticity loss. 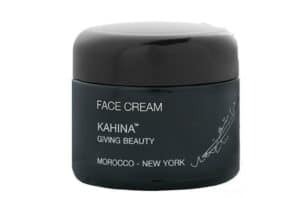 And like all Kahina products, it utilizes the richest argan oil to penetrate deep under the skin’s layers, recover the moisture barrier, and protect from damaging free radicals. 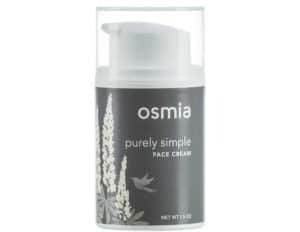 If there’s a brand that understands quality over quantity, Osmia is the luxury organic skin care brand that gets it. There is no nourishing, consciously-sourced raw plant material too expensive if it delivers the healing and protective properties to your skin that Osmia is infamous for. 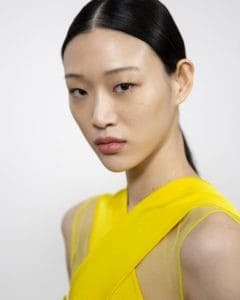 They spend countless hours researching every potential skincare breakthrough ingredient they find, and then combine them for maximum efficacy under strict quality control guidelines. And those guidelines extend to environmentally friendly practices such as recyclable packaging. Who says clay can only be in a face mask? 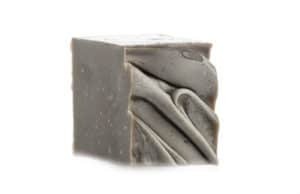 This soap brings you all the skin balancing effects of black Australian clay and sea mud but in a daily cleansing agent that your skin can benefit from every time you shower. Best suited to problematic skin, but strong enough for normal and combination skin, it contains therapeutic and conditioning ingredients like organic almond, avocado, and castor bean oils. And if you suffer from perioral dermatitis, Osmia made this soap with your needs specifically in mind. This cream was designed with simple and pure plant-extracts that are gentle enough for the most sensitive skin. 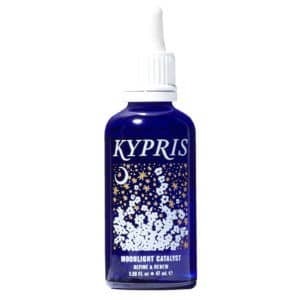 The blend of naturally-sourced ingredients that includes the likes of allow juice and vegetable-derived glycerin also contains the tiniest amounts of precious essential oils. Together, this formulation relieves irritation and moisturizes skin prone to inflammation and dryness. A luxury organic skin care line that bridges the gap between the elegance and richness of French skin care and the sustainable, green living movement that’s swept California in the last few decades. 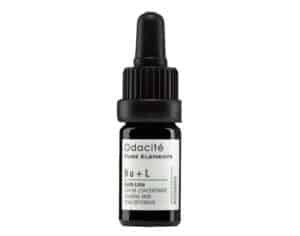 Inspired to bring luxurious and high-performance skin care to the world of all things organic, the creator of Odacite ensures that all of their precious plant extracts, magical oils, and potent cosmetic ingredients are combined in the most effective formulas. 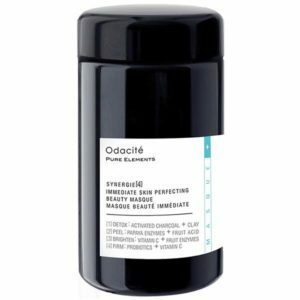 Odacite’s goal is to improve how your skin looks and feels, and they select every ingredient for the right potency, freshness, and purity. 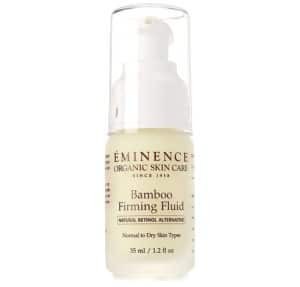 One of many in a collection of highly concentrated facial serums, this one-month treatment for skin elasticity will visibly firm the contours of your face. It accomplishes this with collagen boosting ingredients like beta-carotene and rare Buriti and Pequil oils sources from deep within the Amazonian rainforest. For aromatherapeutic benefits, lime oil cleanses the spirit and mind – but it also encourages loose skin to tighten. A powder mask that revitalizes the skin after a single treatment. Perfect for individuals of all skin types who want to target fine lines, clogged pores, breakouts, pigmentation, and overall radiance as quickly as possible, the water-activated mask detoxifies your pores with clay and charcoal, naturally exfoliates dead skin cells with enzymes and fruit acids and brightens skin tone with vitamin C (that also combats brown spots). And for its last miracle, probiotics work to firm the skin to give you an overall age-defying treatment in the comfort of your own home. A brand whose name says it all – a comprehensive line of skin care, cosmetics, bath, and body products that is 100% pure and free of any harmful toxins, artificial colors, artificial fragrances, synthetic chemicals, and preservatives. Their strict guidelines for what qualifies as natural – and therefore qualifies for use in their products – states that anything they use only undergoes a chemical change due to biological processes such as distillation, cold processing, and fermentation. Everything else, comes directly from nature itself: plant-dyed cosmetics, natural fragrance from essential oils, and stabilized active ingredients using oxidation. Whether you’re concerned by dark circles, wrinkles, or loss of elasticity around the contours of your eyes, this anti-aging eye serum has an ingredient to help fix it. 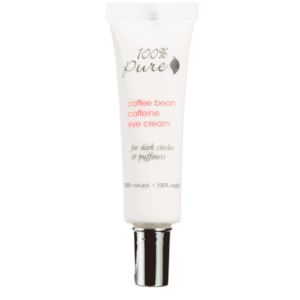 For dark circles, the formula contains caffeine for de-puffing and increased circulation as well as vitamin C to illuminate dark, dull, sleepy eyes. 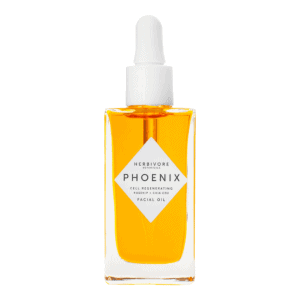 For wrinkles, fine lines, and stubborn crow’s feet, the serum is infused with rosehip oil for refreshment and a dewy finish. And because we can all use a little help with hydration as we get older, soothing aloe vera works as a base. Vitamin C is the brightening and firming ingredient of your dreams. 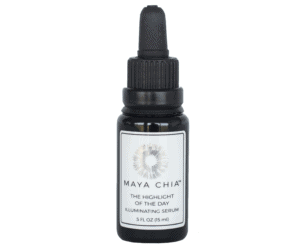 It’s high acidic content helps even skin tone, brighten dull skin, and restore a healthy glow. But at the same time, it encourages collagen production, which plumps fine lines and wrinkles from the inside-out and restores suppleness. This wrinkle-fighting serum is infused with green apple as well as other antioxidants to protect your skin before, during, and after the repair process. 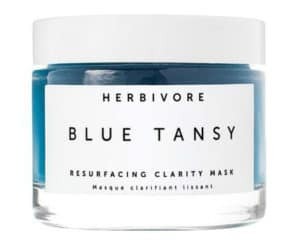 From a kitchen in Seattle to a world-class vegan and all-natural luxury skin care brand, Herbivore has never lost the entrepreneurial spirit that inspired them to create thoughtfully-designed skin care that doesn’t compromise performance. In all their bath and body products, ingredients are meticulously chosen for the utmost therapeutic benefits. Meaning that almost every ingredient is an active ingredient in formulas that are pure, highly concentrated, and effective. As part of their mission to produce incredibly indulgent products that make your daily rituals that much more enjoyable, Herbivore puts time and effort into beautiful packaging as well as finding intoxicating scents and textures to complete the entire luxury skin care package. A natural exfoliant that helps your skin regenerate skin cells well after it’s been used, the AHA in the formula is derived from fruit enzymes like pineapple and papaya while the BHA comes from white willow bark that’s naturally high in salicylic acid. Combined with the anti-inflammatory functions of tansy oil, this wonderfully cooling and replenishing mask will clarify pores, refine skin surface texture, and stave off blemishes and breakouts. Made with cold pressed and steam distilled oils, this ultra-moisturizing botanical oil blend penetrates your skin at a cellular level to restore dry, dull, dehydrated skin. Only the finest ingredients made it into this powerful serum, including: the collagen-affirming CoQ10, plumping chia seed CO2, and beta carotene-rich sea buckthorn. Scented with aromatherapeutic essential oils, preserved with natural and nature-derived preservatives, and filled with nourishing phytonutrients, the sustainably grown and/or procured ingredients in Kypris Beauty wildcrafted products combine the best that nature has to offer with the latest in green science and technology. When science and nature meet, the result is clinically proven formulas that enhance your skin care routine and well-being – all while reducing your impact on the environment and honoring the beauty that the earth provides. Packaged in glass to maintain its potency and efficacy, this skin-strengthening multi-purpose product can be used as a daily moisturizer or as a layering piece as part of your skin care routine. 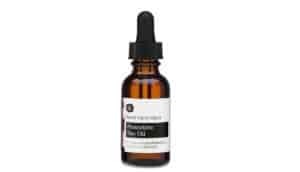 Only 1-2 drops of this potent serum restores vitality and radiance thanks to healing and repairing tamanu as well as botanical gems that brighten dull skin like Waltheria Indica and vitamin C. But you’ll also find the formula loaded with antioxidants: vitamins C and E, superoxide dismutase, and ferulic acid, just to name a few. Let your skin repair itself while you sleep with this renewing night serum that rebuilds the surface of the skin by generating new skin cells and shedding the old. A gentle formula that delivers all the benefits of a retinol product with none of the irritation, redness, peeling, or inflammation. For more than two decades, Naturopathica has been on a mission to inform the world about the connection between holistic health and beauty. Naturopathica Ecocert-certified products are inspired by herbalism and the healing benefits of plant-derived ingredients, especially when combined with the latest and safest cosmeceuticals. A company that gives back to the American Botanical Council as well as local non-profits, they practice sustainability even in their carefully-designed, recyclable packaging. With only 3-5 minutes, 2-3 time per week, the enzymes in this brightening peel can work their magic on dull skin and revitalize and uneven skin tone. 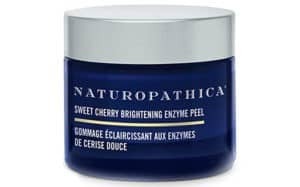 The rich and sumptuous sweet cherry puree delivers much-needed vitamins to mature skin while the resveratrol corrects and refines the skin surface. Also harnessing the naturally exfoliating properties of AHA and BHA, illuminating aged skin is the goal of this quick and effective mask. A 2-in-1 that removes dirt and debris from your pores as well as clarifies your skin from leftover makeup. 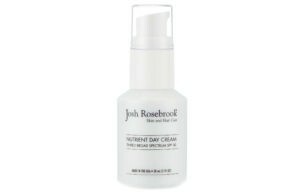 If you’re prone to breakouts, the 99% natural formula is gentle and nourishing. It unclogs pores, reduces their appearance, and restores hydration and balance with the unique yet effective mango kernel butter. May Lindstrom cooks up potions of skincare indulgence that are organic, bio-dynamic, wild crafted, cruelty-free, sustainable, and conscious of the environment and their social impact. May’s passion for creating exquisite recipes free of all glues, dyes, fragrances, and synthetics came from her own experience with hyper-sensitive skin that erupted in irritation even when exposed to some natural ingredients. Her studies in plant-medicines resulted in this authentic skin care line that ethically sources all of their ingredients and honors the integrity of every unique plant. Early in her skin care journey, May Lindstrom experimented with clays and noticed their ability to gently lift impurities and give the skin the strength it needed to repair itself. This water-activated soft and enriching mousse is also infused with warming spices like ginger, cinnamon, nutmeg, and raw cacao that indulge the skin as well as the senses. Raw cacao is highly beneficial when ingested – but applying it directly to the skin offers all the same benefits with the added luxury of applying a soft, rich mousse to your skin and relaxing for 30-45 minutes. The tingling heat sensation produced by this indulgent mask means that the antioxidants, salts, bamboo charcoal, and exotic spices are working to repair inflammation and hyperpigmentation as well as brighten and plum. Marie-Veronique was founded by a chemist determined to move the skin care industry away from mistruths and into the realm of science-backed, clean products that are not only safe but highly effective. With collections that target reducing breakouts and acne, repairing and preventing the visible signs of aging, and treating rosacea, Marie-Veronique has a highly distinguished reputation for top quality products that utilize fine organic ingredients and the best and latest cosmeceuticals. Your skin is exposed to a lot of aggressors during the day: free radicals, UV rays, and pollutants, just to name a few. To protect your skin and your natural barrier against these irritants, this day oil is formulated with the perfect balance of omega-6 and omega-3 essential fatty acids that are critical in maintaining the structure and balance of your skin. A wonderfully refreshing mist that allows microorganisms to thrive and keep the skin’s ecosystem cycle healthy. The microbiotic complex can be applied throughout the day as you need refreshment, hydrations, and a dewy finish that’s lightweight and never sticky. The only thing better than feeding your skin healthy organic ingredients is indulging in luxury organic skin care. These brands are committed to bringing you the cleanest and greenest products combined with the most updated scientific cosmeceuticals for skin care that’s high-performance without compromising our health.